Automotive technician jobs include mobile vehicle inspectors. Learn how to do car checks through Missouri State Highway Patrol. The state of Missouri requires all motor vehicles to pass a vehicle safety inspection, except in a few specific exemptions. Inspection certifications are awarded by the state, and can offer those seeking an automotive technician job an excellent way to build their resume. There are two types of state vehicle inspection licenses in Missouri: a permit to inspect only motorcycles, and a permit to inspect only motor vehicles. In order to inspect both vehicles and motorcycles, a mechanic must meet the qualifications listed below, and pass two separate examinations – one for each license. Inspector/mechanics must be at least 17 years old, and must pass a written exam that covers all the contents of the inspection manuall. In order to pass the exam, the student must score at least an 80%. There is no charge to receive an inspector’s permit, and permits are valid for a three-year period. If the inspector’s permit expires, the mechanic must retake the exam to qualify for a new permit. Additionally, state law allows the State Patrol to retest an inspector at any time, for any reason; if the inspector does not pass the exam during a random retesting, their permit will be suspended for at least 30 days. They must then attempt to pass the exam again, and may not perform inspections until they do. Exams are given in various locations on Tuesdays, Wednesdays, and Thursdays. To be scheduled for an exam, a mechanic must submit an official Inspector/Mechanic Application to the Missouri State Highway Patrol. During the first five years from the date the vehicle’s manufacturing. This exemption does not apply to emissions testing. Vehicles registered for more than 26,000 pounds, and for a period of less than 12 months, such as a quarterly registered vehicle. Vehicles engaged in interstate commerce and registered with the Missouri Department of Transportation. Vehicles that have historic plates. Vehicles sold from one dealer to another dealer. 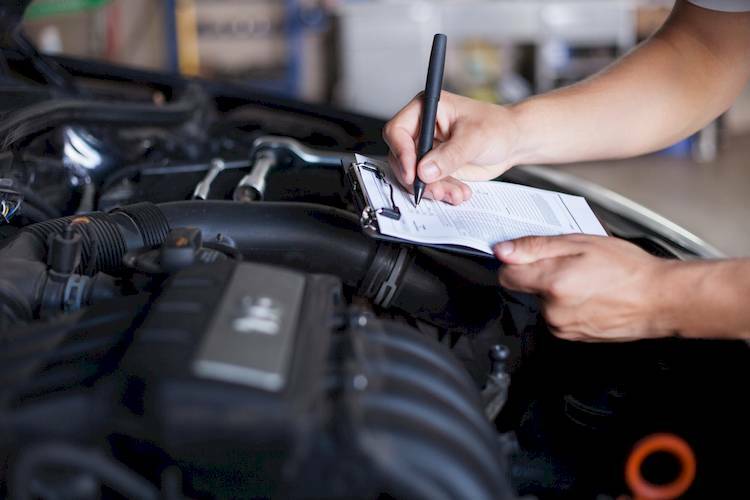 Safety inspections are also accompanied by emissions tests in St. Louis County, St. Louis City, St. Charles County, Franklin County, and Jefferson County. There are many exemptions for emissions tests that can be found at the Department of Revenue’s website. Finally, all commercial vehicles must be inspected according to both Missouri state law, and the FCSMA regulations. Q: What tools do I need to perform prepurchase inspection?